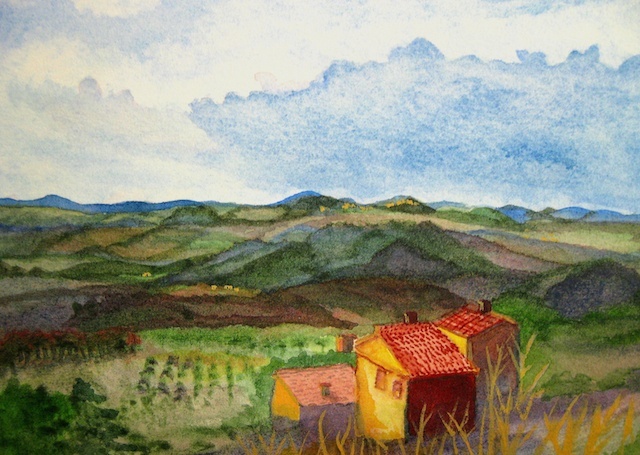 P-177 Approaching Montepulciano, watercolor print, white acid-free matte: 10"x8", matte opening (actual print size): 6"x4". Signed on the front. PURCHASE with USPS MONEY ORDER (or personal check if we are acquainted): send a message through the Contact page.